"There is nothing more natural than preserving the remains of this great thinker in the most sacred place for the Serbian people, the Temple of Saint Sava. Nothing could be more logical than for three big names in Serbian history, culture, and science to rest next to each other". With these words, on February 28th, the Patriarch Irinej, supreme head of the Serbian Orthodox Church, hailed the signing of the agreement which provides for the relocation of the casket of Nikola Tesla into the impressive Orthodox cathedral in Belgrade. The other two signatories were Siniša Mali, president of Belgrade's provisional council, and Energy Minister Zorana Mihajlović as spokesperson for the central government. The Patriarch's statement reveals much of the spirit of the initiative, which appears an obvious as much as a questionable attempt to 'convert' the figure of Tesla into an ethnic-religious symbol (with the risk of spoiling previous attempts for 'reconciliation' with Croatia). In addition, few missed the religious leader's calculated ambivalence in describing the presented scenario: Saint Sava and Karađorđe Petrović (the other two personalities referred to) are not in fact buried in the cathedral, nor will this privilege be granted to Tesla. Instead, the plan is to erect a statue in the nearby park, alongside the existing ones of Saint Sava and Karađorđe. It is worth remembering that this would be the third monument erected to Tesla in Belgrade, after the one in front of the Faculty of electrical engineering and the one that adorns the eponymous airport. The most controversial aspect of this story, however, is the nature of the agreement itself. The problematic issues are at least three: first, it is an unusual compromise between civil and ecclesiastical leaders, which casts a shadow on the autonomy and the secular nature of the state. Second, the decision falls outside the mandate of the provisional council of Belgrade (which took over following the resignation of mayor Dragan Đilas), which is only entitled to deal with matters of ascertained urgency. 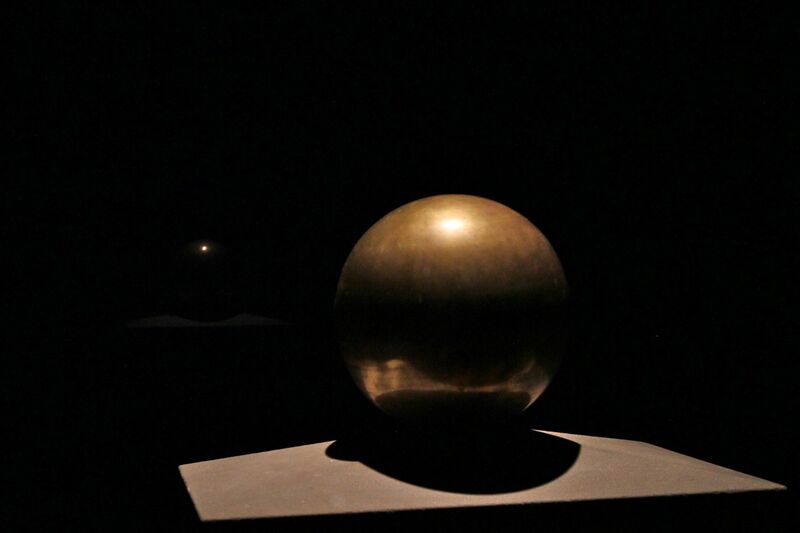 Third, the agreement was signed without consulting the direction of the Nikola Tesla Museum, where the urn has been kept since 1957, nor the legitimate heirs of the great scientist. The public's response: let Tesla rest in peace! When they decided to launch the initiative Ostavite Teslu na miru (Leave Tesla alone) on social networks , promoters expected to collect a few hundred signatures at most. Instead, the number of supporters reached 35,000 in a week – a sign that the attempt to exploit the memory of Nikola Tesla has stirred the conscience of many. 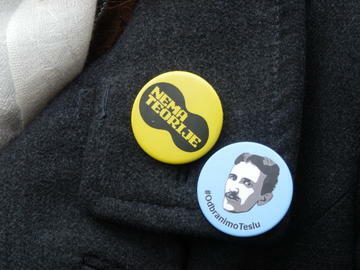 On March 8th, there was a protest at the Museum of Nikola Tesla, in Krunska 51. The representatives of the movement Spasimo nauku (Save science), which for months has been fighting against the indifference of the government towards the crisis in the world of science in Serbia, took the floor in front of an audience of a few hundred people. Among them was Milovan Šuvakov, the physicist who last year was co-author of a revolutionary discovery on the interaction of gravity . The protesters' demand is clear: the agreement is unlawful and must be annulled. If this does not happen, the movement is ready to take legal action. In this action, it can count on the support of three important allies. The first is the director of the Museum, Vladimir Jelenković, who in the past had opposed every proposal to transfer the casket, claiming its cultural value. The second is the authoritative weekly Vreme, which speaks of "pre-election arrogance" and condemns the affair as an attempt of captatio benevolentiae by the Serbian Progressive Party (SNS), a great favourite in the upcoming elections. The cover of the March 6th is clear: "Hands off of Tesla". The third, perhaps decisive ally, is William H. Terbo (ex Trbović). Terbo is the closest living relative of Nikola Tesla as well as the legal representative of his heirs on behalf of the Tesla Memorial Society of New York, the city where Tesla lived and worked for many years, before dying there in 1943. Founded in 1979, the Society is concerned with protecting and promoting the intellectual legacy of the great scientist. In recent days, Terbo sent a letter to the Serbian authorities to assert his right to be consulted on the decision to transfer the ashes of his ancestor (the text of the letter in English ). Although the letter does not express a clear stance, it is plausible to assume that Terbo will oppose the initiative. As has been mentioned several times in the debate, it was by will of the heirs that Tesla's urn was moved from New York to the Museum, where it still is. The protest of Saturday, March 8th, obtained a first concrete success. Siniša Mali, president of the provisional council, did not wait for Monday to put the agreement on the transfer of the urn on hold. "Precisely because of the dissent which emerged, we decided to suspend the operation and put it back in the hands of the future administration", said Mali last Sunday. The outcome of the dispute, then, is still uncertain. However, given the energetic reaction from the public, procedural irregularities, and the involvement of the legal representatives of the heirs, it is clear that the project advocated by the Orthodox Church will not have an easy life. The group “Leave Tesla alone” is not going to be complacent. "The fact that they froze their agreement does not mean that we will freeze our activities", is the message that appeared today on social networks. Whatever happens in the end, this story has the merit of showing the power alliance between the Orthodox Church and the Serbian political system, which in the period of the election campaign seem to become closer and closer. Tesla's case, indeed, is not the only example of interference of ecclesiastical power in civic life. Just on February 28th, the day the agreement on the transfer of the casket was signed, the Serbian Orthodox Church had to give up another attempt of 'misappropriation', this time of public land. In the district of Stepa Stepanović, a suburb of Belgrade, a team of workers in the service of a not better qualified “Father Stojadin” had taken to the illegal construction of a church in an area designed to accommodate a health facility. The inhabitants of the area rebelled against the abuse, and after three days of protests the inspectorate for construction ordered the permanent closure of the site. Supporters of the movement “Leave Tesla alone” hope for a similar happy ending.